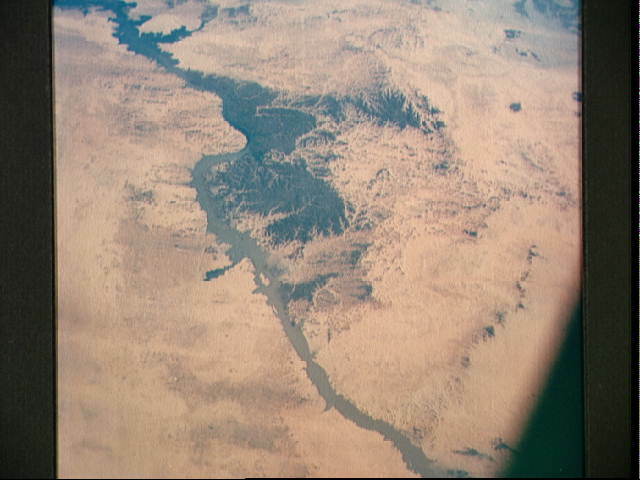 Lake Nasser on the Nile River in southeastern United Arab Republic (Egypt) as seen from the Apollo 7 spacecraft during its 10th revolution of the earth. Photographed from an altitude of 130 nautical miles, at ground elapsed time of 14 hours and 56 minutes. Lake Nasser was created by the contruction of the Aswan Dam on the Nile.